Alcoholic beverages are permitted in the lounges on the fraternity and sorority floors based on the following guidelines. These guidelines are meant to be in place for casual living situations and not for formal events sponsored by the chapter where alcohol is to be present, in these cases please refer to the College's Social Events Policy. Only beer in twelve-ounce (12 oz.) cans is permitted. The use of alcohol in the lounges will be restricted to members and their approved guests who are 21 years of age or older. The total amount of alcohol permitted in the lounge will not exceed twelve (12) open containers of beer at one time. One can per 21 year old is permitted. Any other alcohol will remain stored according to the College policy. Open cans of beer will be permitted in the lounge area only. Any beer found opened in any other public area will constitute a violation of College policy. Friday 6:00 p.m. to 2:00 a.m. In addition to sanctions that may be levied on individuals who are in violation of this policy, the fraternities and the sororities of Lycoming College will be held fully accountable for all violations occurring in the lounge areas. Chapters should also be mindful and knowledgeable of any pertinent National Office policies (where applicable) involving the possession and/or use of alcohol on their floors and lounges. The following policy has been developed to benefit the entire Fraternity and Sorority community at Lycoming College, as well as the personal development and academic achievement of individual Fraternity and Sorority members. Through a working partnership, the College and the Fraternity and Sorority community can, with these guidelines, insure that Fraternity and Sorority chapters are strong, responsible, and respectful of individual members. Although each sorority and fraternity has developed its own unique program of the new member process, associating, or affiliating these programs must meet the standards established by Lycoming College and as further developed by Pennsylvania State law. This policy serves officially to complement the statements on hazing found in the Lycoming College Student Handbook and in the Fraternity and Sorority Leaders Manual published by the Office of Student Involvement. As a current or intended member of a Fraternity and Sorority chapter, students should be aware of this policy and its legal, ethical, and contractual implications. Further, students should be prepared to challenge and question any activity that could violate this policy or the College’s Hazing Policy. A new member activity shall be defined as any activity required of a new member/associate member, etc. This includes rituals, meetings, social programs, educational programs, community service, study hours, and the like. The Director of Student Activities and Involvement should be consulted if questions arise after reading the definition of a new member activity. The length of any new member program is limited to a minimum of four (4) weeks and a maximum of seven (7) weeks and must end at least two (2) full weeks before the beginning of final exams. All new member activities and initiations must occur within this time frame. New member education must begin after the New Member Education Workshop and within 10 days of bid return. Fraternity and Sorority chapters can spend up to twenty (20) hours per week on new member activities. At least ten (10) hours of the total hours per week must be designated as academic study hours. The College encourages new members to study more than the structured time allotted during the new member activities to ensure academic success. Programs and Leadership Development if submitted in writing by the Chapter President no later than seven (7) working days prior to the anticipated event. In all campus buildings, only conversational level greetings and interactions between new members and initiated fraternity/sorority members are permitted. Disruptive or unusually loud behavior is prohibited. Each organization is required to submit an official Bid Acceptance Form, available in the Office for Student Involvement, no later than one (1) business day* after bids are extended and prior to the beginning of new member education. *Exceptions may be made by the Assistant Director of Student Programs and Leadership Development. All new members are required to attend a New Member Education Workshop hosted by Panhellenic and Interfraternity Council and approved by the Director of Student Activities and Involvement within the first week of the New Member Education process. If one cannot attend, a make-up session will be determined at the discretion of the Director of Student Activities and Involvement and the Interfraternity Council and the Panhellenic Council. All new members are required to attend an FIPG Risk Management Workshop hosted by Panhellenic and Interfraternity Council and approved by the Director of Student Activities and Involvement that will occur during the seven (7) week new member education period. If one cannot attend, a make-up session will be determined at the discretion of the Director of Student Activities and Involvement and the Interfraternity and Panhellenic Councils. Hazing, as defined in the Lycoming College Student Handbook, National Chapter Policy, Fraternity and Sorority Leaders Manual and Pennsylvania State law, is strictly prohibited. All Fraternity and Sorority members and new members are required to sign an Anti-Hazing Agreement acknowledging they have read and understood the policy. The New Member Educator (or similar officer) of each chapter is required to attend regularly scheduled one-on-one meetings with the Director of Student Activities and Involvement both prior to and during the New Member Education process. They may also be required to attend a formal training session hosted by Panhellenic and Interfraternity Council and approved by the Director of Student Activities and Involvement prior to the beginning of the New Member Education process. Each chapter must submit an updated philosophy statement and an outline of the new member program activities each semester to the Office of Student Involvement and Panhellenic/Interfraternity Council for approval prior to the beginning of the new member education process each semester. The form can be found in the Fraternity and Sorority Leaders Manual. This policy shall be cooperatively enforced by the Vice President of Student Life and Dean Students, the Office of Student Activities and Involvement, and the Panhellenic Council and Interfraternity Council. Questionable activities should be reported, in writing, to the Office of Student Activities and Involvement or the Vice President of Student Life and Dean of Students. 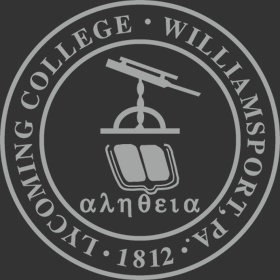 If sufficient evidence is presented, the Dean of Student Affairs will refer the case to the appropriate Lycoming College Judicial Hearing Officer or Board for a hearing and possible sanctioning. A chapter may have only one new member class per semester.